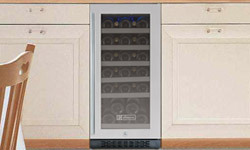 Allavino's VSWR30-1BWRN Single Zone Wine Refrigerator stores up to 30 of your favorite bottles of wine in a compact 15" wide cabinet that can be built in to your cabinetry for seamless storage, or used as a stylish and convenient freestanding unit. 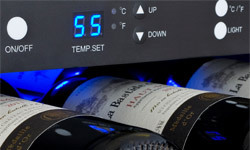 It's digital display with push button controls makes it easy to monitor and adjust the temperature, which can be set low enough to store white or sparkling wine, or high enough to store red wine. 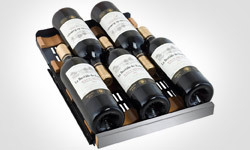 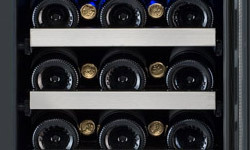 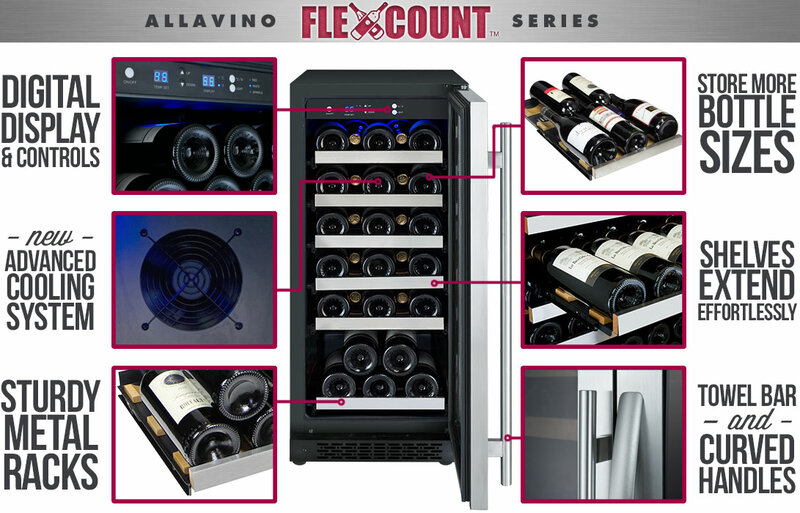 FlexCount Series wine refrigerators also feature extra-durable metal shelves that glide out on roller assemblies to allow you quick access to your entire collection. 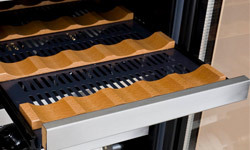 These shelves have wood slats that cradle your bottles.